Residential and Commercial Window Tinting has been our specialty for the last 20 years. At Florida Window Tinting during all this years we’ve been dealing with top quality products and we’ve created a strong relationship with the finest film providers in the market. That’s why we proudly can offer a lifetime Warranty in our Residential installations and a 5 years Warranty on commercial installations. Serving all of the Central Florida area, we offer tailored to meet every customer need in residential and commercial buildings. We’ve comprised a very skilled team of people working with the best practices to completely satisfy our clients. We always leave the job site looking immaculate when our work is complete. We are very passionate about service. We love to leave our customers with a smile. It has worked for us during years, not only by fulfilling ourselves knowing we have done a great job, but by bringing a lot of new clients from the recommendation of our satisfied ones. Florida Window Tinting is committed to work with the needs of our customers, to provide them with the best quality Window Tinting and Film in the industry, bringing them the best possible tailored solution. Our installations are guaranteed to keep their homes and commercial buildings cool and protected, based on the high quality of our products and installers. We work with the best industry practices and our north is to always exceed our client’s needs. 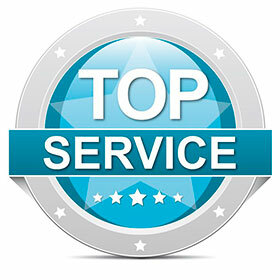 Keep our leadership in the Greater Orlando area and expand it to all the Central Florida, gaining position in the state until we become the obligated reference and best choice for every residential and commercial Window Tinting installation, always exceeding our clients’ expectations providing an excellent service. Service is our main value and the core of our business. Why is Florida Window Tinting your best choice? We work on a one-on-one basis with our customers, attending all of their needs and guaranteeing total satisfaction. We attend their needs and every request in a courteous manner, and their satisfaction become our top priority. All our jobs come with a 100% satisfaction guaranteed. No gaps, no peeling, no bubbles, no purple tint. We only work with the finest materials manufactured in USA. We offer Lifetime Warranty in our Residential installations and a 5 years Warranty on Commercial installations. Our prices are very competitive. We deliver the highest quality products in the market at affordable prices. Our team is trained to do their job following the best practices in the industry.